The principle underlying molecular diagnostics is simple—devise a methodology that quickly detects an altered state through the analysis of a biological marker. With that philosophy in mind, companies go to great lengths to develop sophisticated equipment that will accurately measure either a single or collection of biomarkers that are known indicators of disease. Yet, with advances continually making technology smaller, faster, and cheaper, a molecular diagnostic device is only as good as the biological entity that it seeks to identify. In many ways, nucleic acids seem like ideal candidates for researchers to use as markers of disease pathology. Indeed, there are a fair number of molecular diagnostic tests that exploit the subtle genetic variations (SNPs, copy number variations, etc.,) that exist between abnormal and unaffected genomes. Yet, protein samples offer a significantly greater degree of differentiated information content than their nucleic acid counterparts. Moreover, there are a considerable number of protein molecules that are secreted by cells which are often sought after as diagnostic markers due to their relative ease of harvesting. In contrast, the methodology required to isolated nucleic acid markers can be elaborate and time-consuming. Adding to their versatility, many protein biomarkers have the additional advantage of not being just static molecules that are merely sought after for their presence in biological samples. For instance, in the case of enzymatic diagnostics, the marker of clinical disease is also an active component of the test—such is the case for the lactic acid dehydrogenase test, a classic example of an active biomarker for cell damage that is utilized for a variety of pathological states. Immunoglobulins are another example of protein biomarkers that can be an active part of the testing procedure. Antibodies have been an essential part of lab diagnostics for decades. Their use in enzyme-linked immunosorbent assays (ELISA) or other such immunoassays are integral to “wet-lab” style of bioanalytical methods. 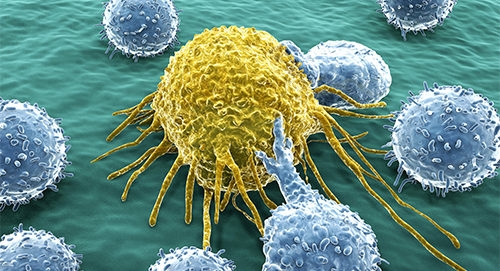 Antibodies are typically produced by the immune system in response to infections, yet in some instances of cancer, the immune system produces immunoglobulin molecules to control the growth of various tumors. This innate immunotherapy did not go unnoticed by research scientists and over the years many of them have intently tried to stimulate the immune system, in a variety of manners, to keep cancerous growths in check—effectively spawning the burgeoning field of Immuno-oncology therapeutics.